Watch full Ginga Eiyuu Densetsu Season 4 Episode 10 English Subbed full HD online. Ginga Eiyuu Densetsu Episode 96 English Subbed online for free in HD. Live by the Sword…” Reuenthal plans to divide up his fleet into a formation which would surround incoming fleets. Mittermeyer arrives first, quickly attacking before Reuenthal tactical plans are set up. Mittermeyer uses quick fleet movement to prolong the battle and limit casualties. Over time, Bittenfeld and Wahlen’s fleets arrive as well. Wahlen is nearly killed and loses his artificial arm. 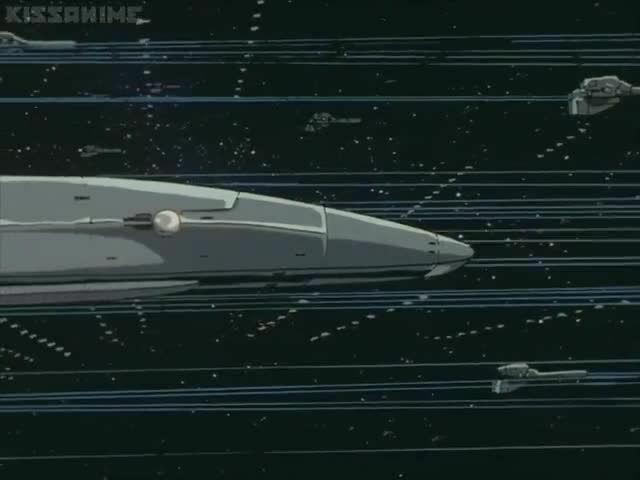 Bittenfeld’s fleet formation is unstable due to it being 1/2 survivors from his fleet and the remainders Fahrenheit’s fleet. Admiral Knapfstein is killed in battle. Eventually the battle becomes a war of attrition. As it is reported that Mecklinger is approaching the battlefield in the Rantemario system, Reuenthal orders a hasty retreat.